Homecoming: Rosemary Waugh reviews a night of four work-in-progress plays by Welsh playwrights. Jack Hammett performing Cardiff Boy at Chapter Arts. “Do you think it was the Cardiff thing that made people vote for it?” I ask Rebecca Hammond, founder of Chippy Lane Productions. The Welsh theatre-promoting company are in the middle of staging year two of their works-in-progress events. The play in question, Cardiff Boy by Kevin Jones, received a substantial proportion of the audience votes in round one at the London Welsh Centre on 27 June. “I’m from Taunton!” I chime in with what sounds like far too much enthusiasm given my next-door hometown has just been name-checked as an exemplar of shite nightclubs and unemployment. But shared reminiscences of Chard and other less-than-flourishing towns aside, my pre-show conversation with Hammond contains two important points. First, good stories often have a strong connection to a recognisable location, yet manage to appeal to more than just the local audience. Second, even if we’ve escaped them to move to the Big City, hometowns retain a bizarre pull on our psyches. Both the Chippy Lane company and the plays performed at its 2017 scratch event demonstrate these points. Established in 2016, the organisation champions Welsh theatre inside and outside of Wales – with arguably more of an emphasis on the latter. Hammond is herself based in London and the first scratch round at the London Welsh Centre was attended by many of the Welsh community also living there. From a theatre point of view, there’s an advantage to looking outside of Wales as it helps widen their audience. There’s also something healthy-feeling about a company that celebrates nationality whilst not being insular. Yes, they’re proud to be Welsh, but they’re also Londoners. Along with Cardiff Boy, the other plays voted through to the ‘homecoming’ performance in Cardiff are You Gotta Go There To Come Back by Poppy Corbett, Tiny Mad Animals by Neil Bebber and Outside Blisters by Ruth Majeed. Corbett’s play is overtly about the twenty-first-century version of throwing a polkadot bundle over your shoulder and heading off to where the streets are made of gold. The protagonist, performed by Michelle Luther, swaps southern Wales for Streatham Hill in the belief that better things await her there than ‘pushing pencils’ for the local council. The piece relies on some pretty broadly drawn stereotypes – gardens of daffodils, Welsh cakes and the millennial with the MA who can’t get a decent job – and there’s some unnecessary audience interaction that doesn’t lead anywhere. However, in its more subtle moments such as her preference to send her nan a postcard rather than phone and hear the suggestion that she might have been happier staying in Wales, the segment contains the beginnings of a bittersweet reflection on the feeling many that have left home to head somewhere bigger and better will recognise. The young women in Majeed’s Outside Blisters, meanwhile, are equally split on the idea of moving away. Sharing quite a bit in common tonally with Our Ladies of Perpetual Succour, the piece is about three drunk women tottering around outside a nightclub. All of the plays are presented as sections of a potentially full-length piece, but Outside Blisters works really nicely as a stand-alone micro-play (are micro-plays a thing? Like micro pigs? If not, then they should be). The characters are mainly arguing about a boyfriend, but the comment that engenders the most disgust is not to do with boy trouble but the suggestion one makes of going to college so she can move to Cardiff and get a decent job. Bebber’s Tiny Mad Animals is arguably the odd-one-out of the group in not being linked to Wales, but it does deal with friendship and the attempts people make at dealing with the changing passage of time. Emotionally, it feels a bit flat at present – although it might be harsh to judge a twenty-minute work-in-progress as such. The power of the piece rests on a confession between two friends, but the tension needed for the audience to fully invest in it is lacking. The idea, however, behind the title has a gem-like quality. Children, one of the characters says, are like ‘tiny mad animals’, but the suggestion, as the two grown men sit at the table trying to match up the ‘now’ to the ‘back then’, is that we are all, at whatever age, like the proverbial children lost in the deep dark wood. The piece, then, that ties together these different strands of adolescence and home is Cardiff Boy. It’s easy to see why this one was the clear winner in London. If it’s not the recognition of place names in the Welsh Capital appreciated by the audience, it might well be the 90s tunes blasted out from the (actual, real-life) tape player. 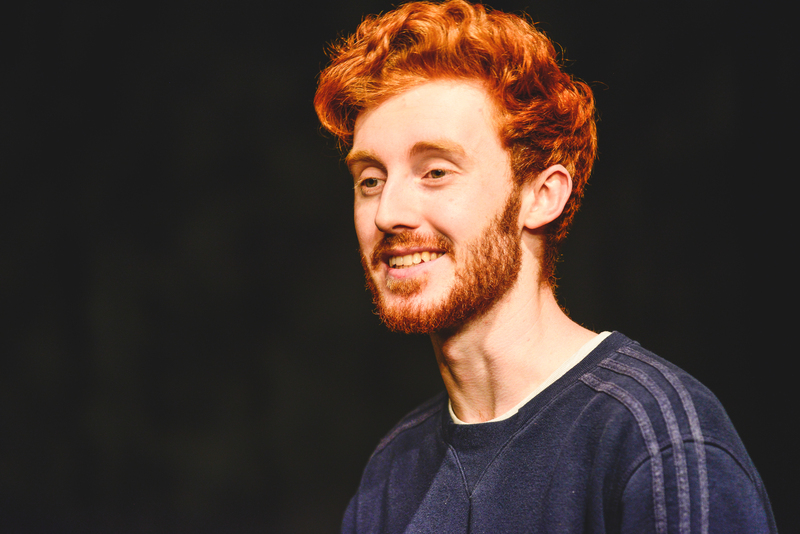 Performed by the instantly likeable Jack Hammett, Cardiff Boy is nostalgic without being mawkish, which is probably one of the better approaches to take to the past. For more information on Chippy Lane Productions, click here.